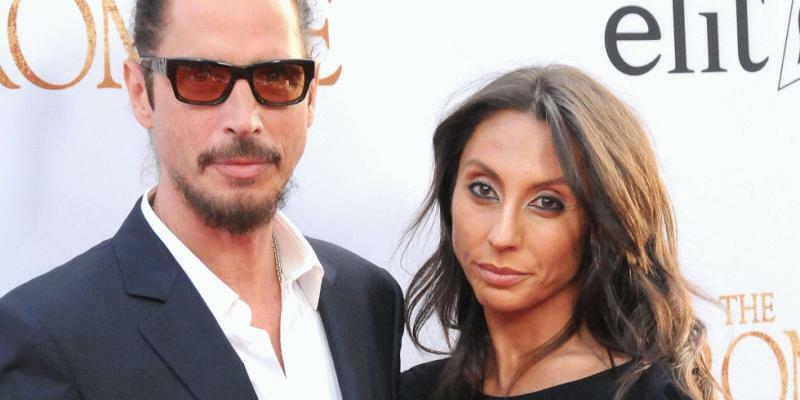 Los Angeles, CA, United States (4E) – The widow of Chris Cornell, Vicky Cornell, believes the death of her husband was accidental amid the new details released by the police regarding the singer’s activities hours before his death. The 52-year-old singer was found unresponsive at his hotel room at the MGM Grand Hotel in Detroit with a band around his neck inside the room’s bathroom. He was touring with Soundgarden, in which he was the frontman. He was pronounced dead at the scene. Wayne County Medical Examiner’s Office said the cause of death of Chris was suicide by hanging. However, the attorney for the Cornell family, Kirk Pasich, said that they are disturbed about the implication that the singer intentionally killed himself. The full autopsy report and results from the toxicology tests are still unavailable and Pasich said without these information, they do not know what was going on with Chris before he died or if substances contributed to his death. Vicky also released a statement saying that the death of her husband created an emptiness in her heart that will never be filled. She added that her husband was a devoted father and partner to her as he was her best friend. She added, “His world revolved around his family first and of course, his music, second. He flew home for Mother's Day to spend time with our family. He flew out mid-day Wednesday, the day of the show, after spending time with the children.” They shared three kids together, ages 16, 12 and 11. She added that before the final show of Chris in Detroit, they discussed plans for a vacation over Memorial Day. They then spoke after the show and she said she noticed her words were slurred and he told her that he may have taken extra Ativan. She then contacted security so they could check on him. Police confirmed that Vicky called someone in Detroit and that person forced open the door then found Chris unresponsive. Other reports added that Chris fastened the band to a carabiner lodged into the doorframe. This information has not been confirmed by authorities yet. The funeral arrangements are yet to be released.